Don’t you get depressed looking at the same ol’ food displays all the time? Don’t you think it’s time to make that food presentation come alive? 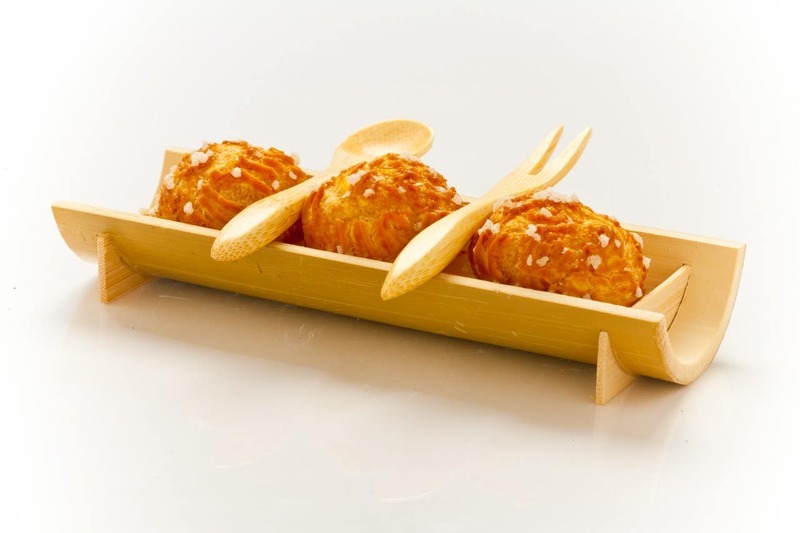 Thankfully, you can achieve such a goal by serving your tasty culinary creations in exotic bamboo canoes. These sweet pieces of tableware come in two sizes small and large so if you get both sizes than you will always have a modern way to serve up your delicious culinary treats. 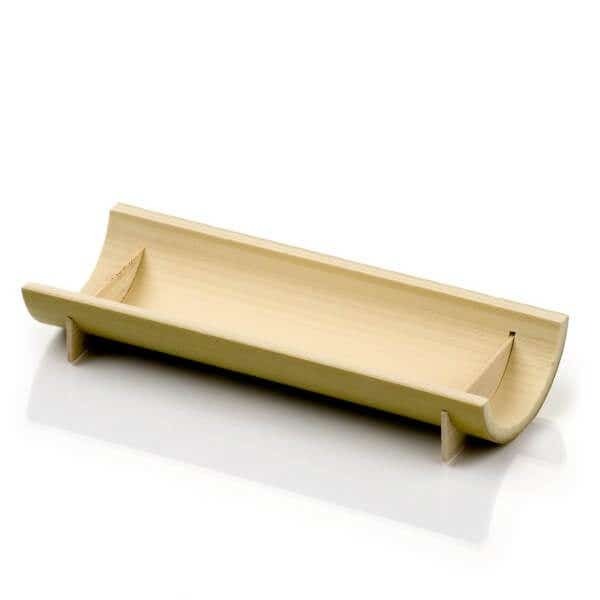 A small sized bamboo canoe looks a lot like an adorable little canoe, it can be used for serving individual serving desserts and appetizers. 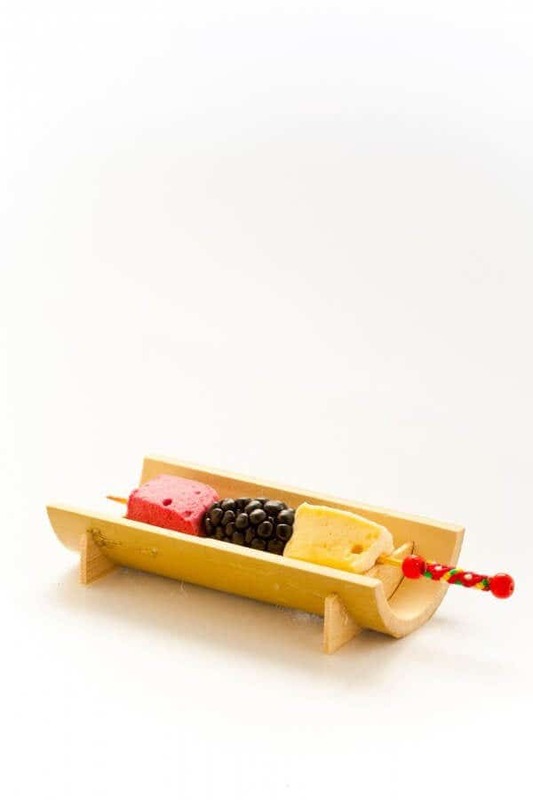 You can also make a little kabob of fruits or cheeses, then set it gently on a small canoe so you can bring your food display to life. The dynamic style and design of these canoes will surely add just the right touch to any restaurant or catering tabletop. 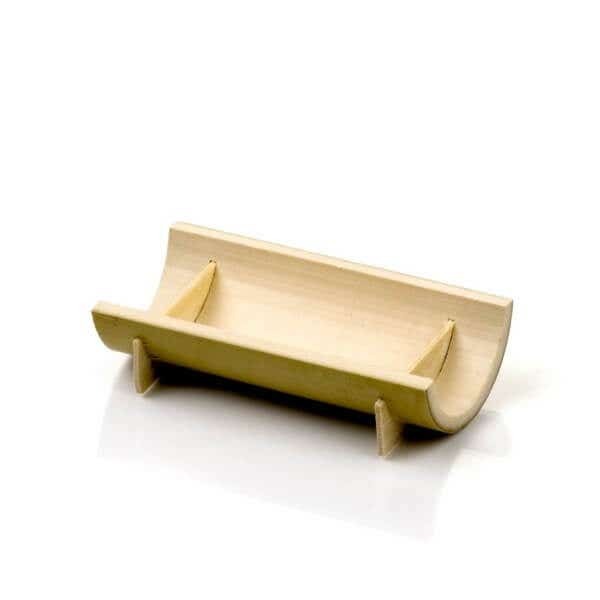 Bring life to your food displays by using sweet bamboo canoes. 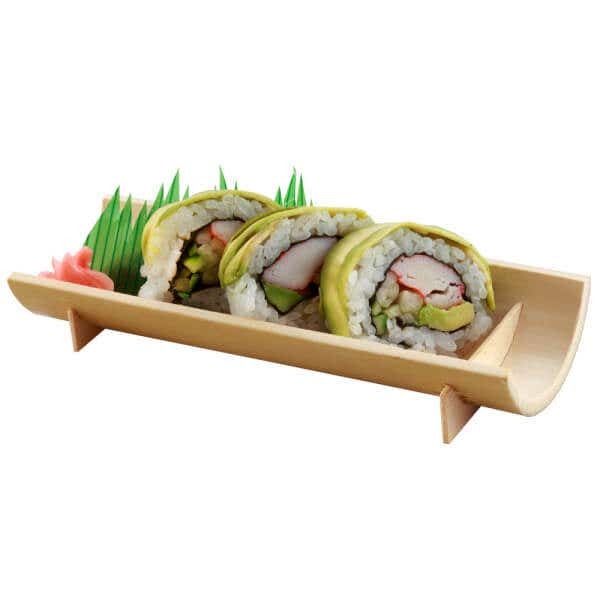 Large Bamboo Canoes bring life to any food presentation. It often gets boring looking at the same food displays over and over. 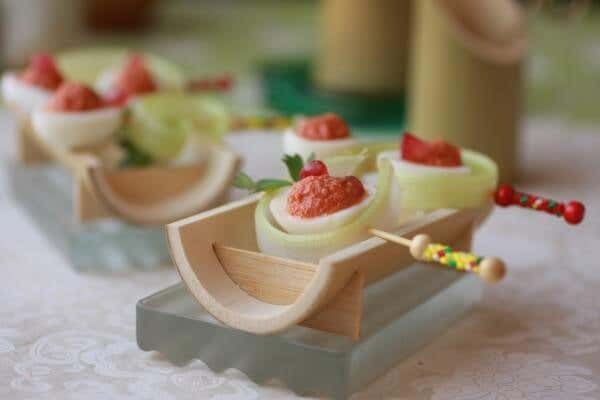 Thankfully, you don’t have to do this anymore, all you really have to do is get bamboo canoes and use your imagination so you can create an out-of-this world food presentation.